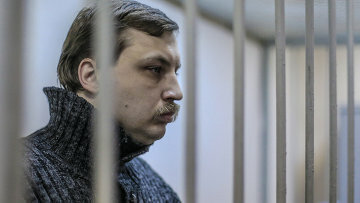 Bolotnaya Square riot convict released from mental hospital | Russian Legal Information Agency (RAPSI). CHEKHOV, Moscow Region, June 11 (RAPSI) - The Chekhov City Court of the Moscow Region has released Mikhail Kosenko, who was convicted in the May 6, 2012 Bolotnaya Square riot case, from a mental hospital to continue treatment in an outpatient clinic, a RAPSI correspondent reports from courtroom. Judge Sergei Gurov thus upheld a petition from the Mental Hospital No. 5 administration on changing Kosenko’s compulsory treatment. As earlier explained by lawyer Dmitry Aivazyan, Kosenko will still have to undergo psychiatric treatment but in an outpatient clinic. In October 2013, the Zamoskvoretsky District Court of Moscow found Kosenko guilty of participating in mass riots and assaulting a police officer. However, he was diagnosed with a mental disorder and released from liability for the crimes but ordered to undergo mental treatment. The Moscow City Court upheld the ruling as valid. Last February, the Zamoskvoretsky District Court sentenced eight defendants in the Bolotnaya Square riot case to various terms, from a suspended sentence of three years and three months to four years in a penal colony. All the accused were found guilty of assaulting police. Earlier, several other defendants were pardoned. Currently, the Moscow City Court is trying the alleged organizers of the riots. The period of investigation has been extended until November 2014. 15:01 11/06/2014 The Chekhov City Court of the Moscow Region has released Mikhail Kosenko, who was convicted in the May 6, 2012 Bolotnaya Square riot case, from a mental hospital to continue treatment in an outpatient clinic, a RAPSI correspondent reports from courtroom.